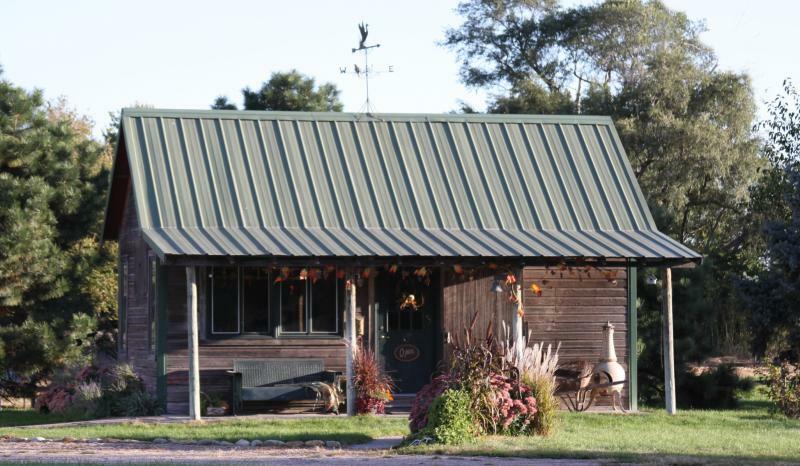 Nestled off the historic Lincoln Highway US Highway 30 just outside of Chapman, Nebraska is Mossy Pond®, home and studio of wildlife artist Julie Crocker. What started out as just an art studio blossomed into a creative endeavor with her sisters, Kerry Graff and Linda Goosic, and a yearly event. Starting with one building and one weekend we now have 4 buildings and are open four week-ends. Very easy to find we are 15 minutes east of Grand Island and 10 minutes west of Central City. We serve lunch each day that we are open and the highlight is in the fall with Smokin' Mike's BBQ. 2018 Fall Harvest dates for this year are September 7, 8, 9 and September 14, 15 and 16. The Holiday Show this year will be October 19, 20, 21 and October 26, 27 and 28. As always lunch served each day by Smokin Mikes BBQ with his special BBQ menu served on September 8, 9, 15 and 16. Be sure to check out our 50% off area. You never know what treasure you will find! Come out and see what we are all about!!! The Mossy Loft, which is located upstairs in the barn, is filled to the brim with something for everyone. Check out the antler archway when going up the stairs. We also have a great 50% off section in the Loft. Our space had been somewhat limited by the size of the buildings so by adding the Loft we are able to bring you many new display and decorating ideas. Hopefully we have accomplished that. Mike also added his special touches. His area includes a great hand crafted bar and of course a tv for all the Nebraska football games. You never need to worry abourt missing the game at Mossy Pond®. We really do have something for everyone! Another year has come and gone and we would like to thank everyone who visited Mossy Pond® during 2017..
We are currently in the process of hunting down new and interesting ideas for you all to experience and are very excited for the 2018 season. .
Hope to see all of you this fall for Mossy Pond® 2018 !! Copyright 2012 Mossy Pond®. All rights reserved.